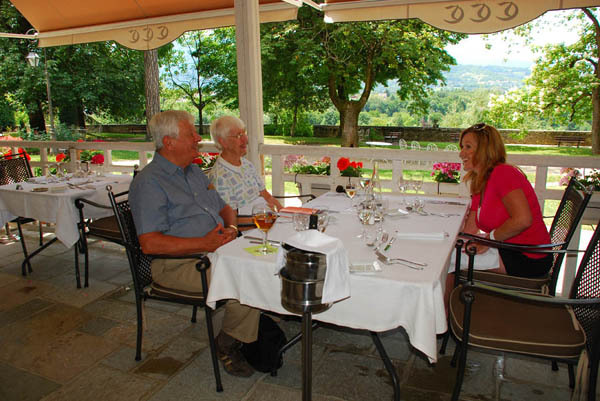 Art and Carol and Jenean Derheim at our last lunch together at the Chateau Comte de Chall, near Geneva, France. After an overnight in Strasbourg, Jenean leaves on the train for Paris on June 17 and Jim drives to their apartment in the medieval town of Rothenburg ob der Tauber. Jenean starts her “Women’s Tour” with a party of three from Minnesota on the 18th and Jim starts his tour with a couple from the east coast of Florida in Frankfurt on the morning of the 19th. Follow the journey(s) right here, and thank you for traveling with us, even if only from the comforts of your office chair!